These beautiful earrings sparkle and catch the light. 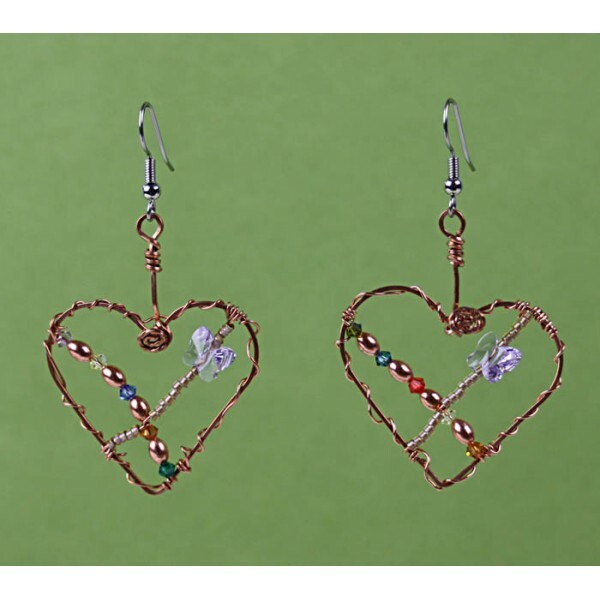 This is a One Of A Kind pair of earrings titled, "Butterfly Love". This is a limited edition piece created for Women Build 2013 for Flower City Habitat for Humanity (FCHH). Size of the heart is is about 30 x 30 mm. That is about 1.25 inches across. This piece pair is in genuine copper. The ear wires are surgical steel. This piece is hand made to order. There are copper vines and butterflies in this piece which was inspired by my spring garden and the love working on a Habitat house brings me when I am there. 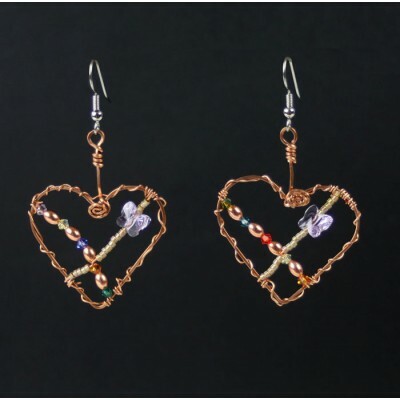 This piece is a great gift for the lady who loves copper, hearts or helping others.